Online businesses are growing at a rapid rate, and a professionally designed website increases the chances of users staying on your website for a longer time to explore it further. A good website ensures retention of existing customers while at the same time increasing the inflow of new ones. A website, after all, is the heart and soul of any digital business. When designing an e-commerce store the design and structure of the business website matters a lot, as this is your representation to the potential customer. There are several platforms to build an e-store, with one of them being Magento. In this post, we’ll try to understand Magento broadly and uncover if it is still a preferred choice to build an e-store or not. Magento is an agile, popular and a powerful e-Commerce platform that helps you in setting up your online business store. Also, it helps you in designing a captivating web platform to attract users and retaining them. This eventually, in the long run, helps in increasing your revenue. 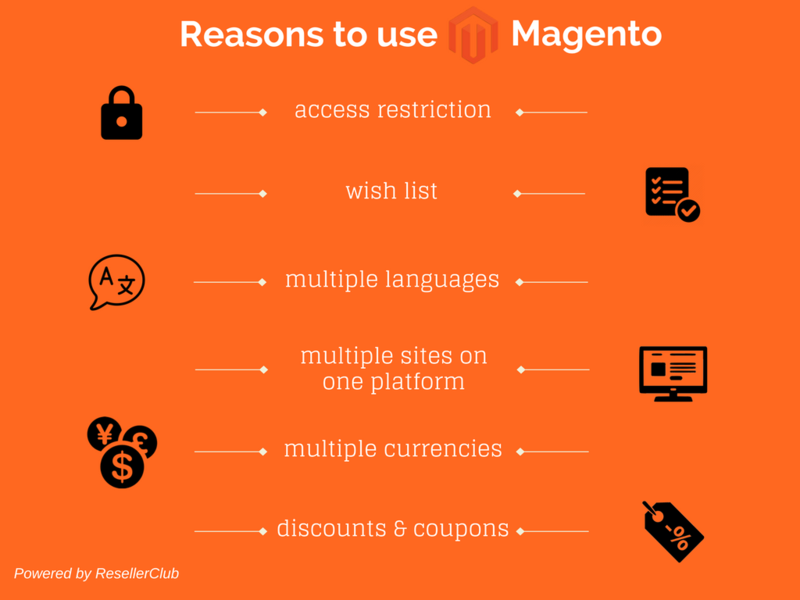 Magento is a freemium platform, its Community Edition is free and open source whereas the Enterprise Edition is a premium paid version with additional features. As the Community Edition is free and open source, Magento allows the user to make any changes to the source code to suit their needs. This flexibility offers the owner freedom to modify the platform the way they want. Marketing is another feature of Magento. It includes a variety of marketing tools like deals, private sales, loyalty programs, coupons etc that can be used for product promotion. Furthermore, Magento even allows you to add product description, images and videos to present a compelling product to your customers. SEO with Magento might prove to be a user-friendly task, however, it is very important and Magento provides necessary elements to help your website with respect to search engine optimisation and ranking. Some of the elements are crawlers, canonical tags, URLs, meta content, web configuration, redirection etc. Magento allows you to create multiple websites on one single platform. It also supports multiple languages as well as currencies. One of the primary characteristics of Magento is to help businesses set up an e-Commerce store. Also, should the website owner decide to expand their business, they can do so by converting their website to an Online Marketplace and sell their products there either alone or with other sellers. For a web developer, if you specialize in Magento then this is lucrative for you as you can easily upgrade your customer’s website to a Marketplace website should they wish to expand. Also, you can not only create their e-Commerce store but also manage it for them. This way the business owners can concentrate on their business while the management and website maintenance is taken care of by the web development firm. With the advent of various self-hosted website builders in the market today like Shopify and Weebly, Magento still has an edge over them all as it allows the users to customize their website. As a business owner, if you are starting small you may prefer ready to use e-commerce website builders, however, as your business grows you can switch to Magento. Overall, Magento as a platform is great when you wish to expand your online business as it has several features and options and, is still a preferred e-Commerce platform.